As market-leaders for tiling, delivering innovative products and service solutions, has been trusted for more than 50 years by industry professionals from tile fixers, to contractors, architects and specifiers. 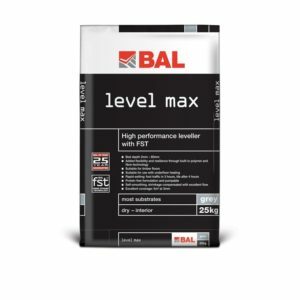 Whatever the tile material, background or function of the tiled environment, a BAL solution can be trusted for quality and lasting performance. 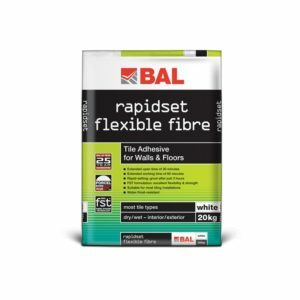 20kg of BAL Rapidset Flexible Fibre, which can be grouted after only three hours, ensuring the project is completed on time and in budget. 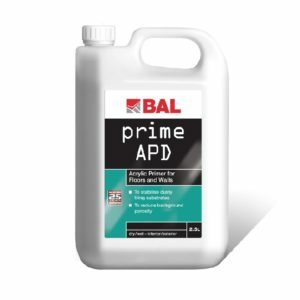 Used for covering your electric underfloor heating mat prior to tiling. Used to prime the floor prior to application of latex.